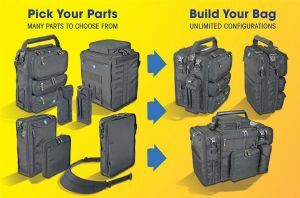 Need additional components for your bag? The FLEX system allows you to add components to your current configuration. The FLEX system provides versatility for your specific situation. You can have a laptop bag (B2) day-to-day, or a larger travel bag on the go (B18).